Reedy’s rigz in recent years have become an increasingly popular product synonymous with local snapper fishing. What are Reedy’s Rigz exactly? Quality pre made snapper rigs that you simply tie to your main line, then attach a sinker of weight choice. It couldn’t be any easier for targeting snapper available in a range of colours and sizes. They have been cleverly designed with glow lumo beads and flashing wraps to attract hungry snapper. Its a great success story by a local Australian family business. The team at Reedy’s Rigz have been working on this new concept over the last 5 years. To develop improved rigs with a new type of fibre. This fibre reflects light in the same fashion that a UV squid jig does. Its also 5 times stronger then most products in this space made from flasherbou. These new ultra rigs new fibre technology is considered a game changer. They didn’t stop there the swivel has been upgraded from a barrel to a roller which is stronger and more effective at preventing line twist. The New hooks are a heavier gauge circle hook for bigger fish but with a straight shank with all the advantages of circle design which ensures as close to 100% catch rate after hook-up. People who know me well would understand that I’m passionate and borderline obsessed with fishing tackle. With this products I’m amazed at how a concept as simple as a snapper rig can have so many advanced clever design elements. So many little intricate features and key attention to detail that take it from a good product to a truly great product. 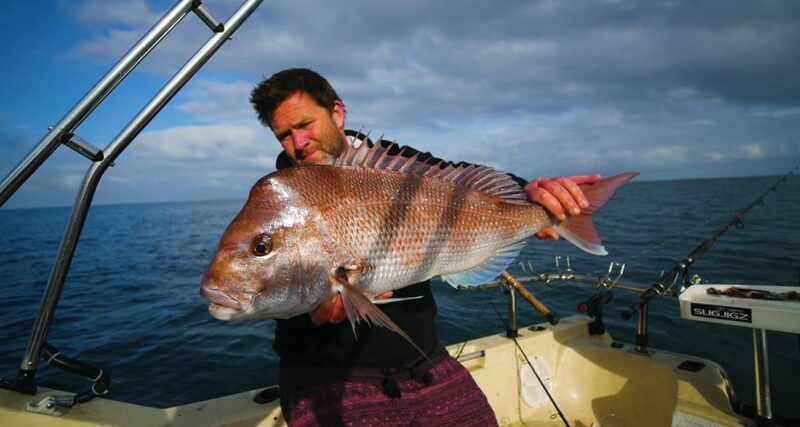 In Victoria we are blessed with amazing snapper fishing around Port Phillip Bay and Western Port. An annual delight between the months October through to March is when the weather conditions are warmer and snapper make their annual migration into our systems. In Victoria there aren’t many species that get your heart pumping like snapper and these rigs are simply perfect for local bait fisherman. Were still conducting our testing by already we can see some amazing results and efficiencies. For busy people like me it’s pure convenience, why waste time setting up your own leaders. Just open a pack of Reedies Rigz, tie to main line and attach sinker and your ready to go. Couldn’t be easier. My first day of testing I literally tied on the rig and caught a small snapper within a few minutes. These rigs are now available in many tackle stores Australia wide. However, you can find out more details about these great rigs directly from the manufacturers website www.snapper-rigs.com it’s a clean website, easy to navigate and provides information on these rigs and a range of other great fishing merchandise including snapper snatches, flasher rigs, squid jigs, float rigs, clothing, and more. When it comes to delivery I can only provide feedback on the experience of my order and am very glad to say that both my batch orders order arrived overnight and packed securely. At the time of testing individual Pre-tied paternoster rigs were $12.95 each they come in a range of sizes, colours and can be ordered in bulk. The original rigs can still be purchased for $8.95. Again we recommend visiting the manufacturers website www.snapper-rigs.com for the latest pricing, products and promotions.